Randy Stonehill, has been a pioneer of Contemporary Christian Music since the 1970s and his signature album, Welcome to Paradise will always be the definitive collection that changed Christian music. Randy Stonehill continues to make great music and his 2011 album, Spirit Walk, is one of his best ever. Today, I want to honour the album that I would call his best. 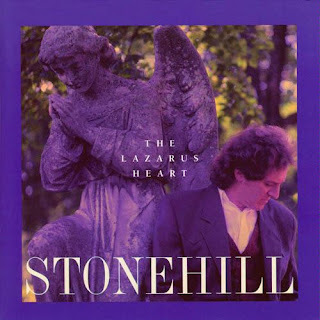 It has been 23 years since Randy Stonehill released his Lazarus Heart album and it still holds up as his greatest music ever produced. He wrote or co-wrote everything on the album and has some great help from co-writers such as Phil Madeira, Cheri Keaggy, and Terry Scott Taylor. The album is richly produced by Jimmie Lee Sloas who makes every track sound great. There are some great, big, rockin’ songs here with huge guitar solos that show the Jesus-infused rock-n-roll that made Stonehill who he is today. “Shadow Man” is a great example of this, but perhaps my favourite of this style is “Under the Rug.” They remind us of the secret sins we work so hard to hide and the old creation that must be constantly renewed in Christ. “In Jesus’ Name” and “That’s Why We Don’t Love God,” speak of the corporate sins of the people of God and how we must turn back to Jesus as the source of life. “I Turn to You,” is also that reminder of the One to whom we turn for strength. Of course, there is the quirky and brief, “Zurich In the Snow.” What was on Uncle Rand’s mind when he wrote this little diddy and decided to put it on the album? I am certainly glad he included it. On the other end of the spectrum, the namesake of the album, “Lazarus Heart,” is a beautiful story of life, redemption, and hope. Stonehill still knows how to proclaim the Gospel in poetic ways that pull at our heart-strings. As I said, I would suggest that this is Randy Stonehill’s greatest music ever, but then I remember his 1989 album, Return to Paradise. Perhaps I will write about that important album another day. 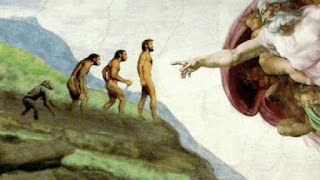 "A Promise Made Is a Promise Kept"
"That's Why We Don't Love God"
Scott McKnight has an excellent blog entry that looks at the recent book, Evolution and the Fall, edited by Cavanaugh and Smith. The following quote is from the book and draws upon the words of Darrel R. Falk. Unlike secular scientists, Falk suggests that we should understand our origin, despite the “odds” as an example of divine providence. This isn’t an argument for the existence of God, but rather a realization that there is another plausible interpretation of our existence on this planet. Rather than lucky accidents, we are the result of a plan and have a purpose. McKnight says that, “… as Christians, the highly contingent and improbable truth of our existence should bring a new and deep appreciation for the providence of God.” It is not about proving that God exists. It is about realizing that because, by any secular or religious standard, the probability that humans would develop on this planet is very low, there is a place for including God in the conversation. Philosophy and religion are some of the appropriate tools for investigating the universe. I have been thinking about the relationship between evolutionary creation approaches to our understanding of God’s activity in the world, and the problem of pain. The presence of pain, suffering, and evil in a good world created and designed by a loving God, is difficult to understand and explain. I have always understood, and still do understand, this problem in terms of the hope of heaven that is available to the follower of Jesus. This world is not designed to be a world without problems and pain, that is heaven. The universe is designed to be a place where we learn to breathe the air of heaven. We are tadpoles who must slowly be transformed into frogs that can survive and thrive in the heavenly environment. Considering such an understanding of heaven and earth, evolutionary creation adds one more facet to the gem that is our understanding of the universe and spiritual places, both created by God. Evolutionary creation is an approach that sees the struggle of individual species as part of the creation process. Every species must work for its place in the eco-system. Those well-suited to their environment will be able to reproduce and pass on their genes to the next generation, ensuring that the next generation will go on to reproduce once again. This is a dynamic process and species must adapt as environments (micro and macro) change. A gene and its associated protein and structures that was detrimental in one generation may be an advantage in the environment accompanying the next generation. Thus, mutations which occur to change the genome from generation to generation may be helpful or harmful in any given time and place. It is the struggle of the individual and the species, in which creatures of God fight for their place and their opportunity to reproduce, that is a hallmark of the evolutionary creative process. If we see Israel and the nations Israel drove out of the promised land in light of evolutionary creation, we can then understand the battles as part of the evolutionary creation process and part of how God was preparing his people for the air of heaven. 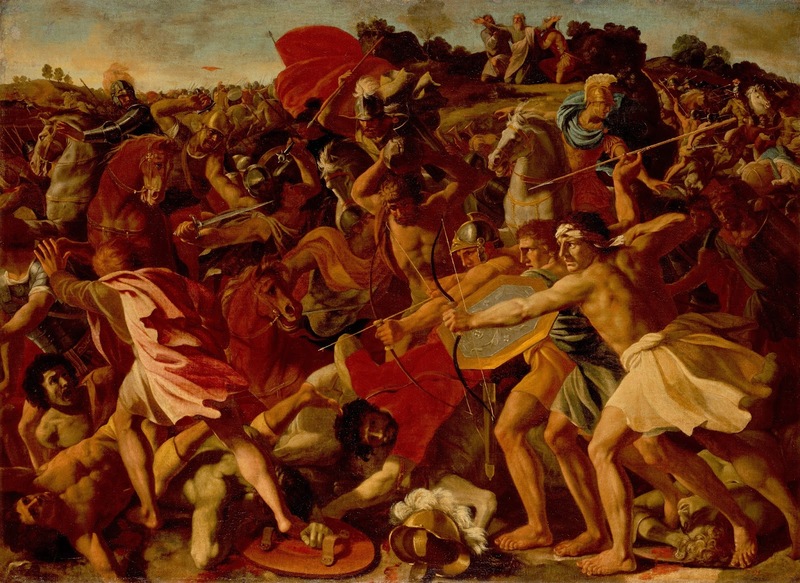 Is this an adequate explanation for the bloody battles and warring tribes of the past and the present? It is hard to say. The problems of pain, suffering, and evil remain. Yet, seen in this way, I can better understand a loving God who is presently preparing a people for life in his presence forever.